As society’s health ecosystem transitions to higher-value business models, stakeholders will require timely and secure access to broad sets of data and actionable insights. CMA provides an array of tightly integrated offerings, which enable the transformational strategies of clients across the health and human services continuum. Healthcare transformation is prompting an evolving set of business requirements, as well as new delivery and financing alliances among stakeholders, who bring a diverse mix of legacy and IT investments to the table. CMA’s systems integration services assist clients, whether they are looking to rationalize, modernize or replace components and features within their IT environments. As an agnostic systems integrator, we are proud to select and recommend best-in-class technologies and tools align to the needs of each client, as opposed to the rigid architectures of any existing, pre-built solution. Technologies include Commercial off the Shelf (COTS) and Open Source software and tools. CMA has an extensive network of technology partners, providing clients with the value associated with discounted pricing and access to certified architects, analysts, and developers. Health reform is spurring new value chains, which need to be benchmarked, monitored and continually refined. Harnessing robust analytics, stakeholders can leverage timely and actionable insights to inform enlightened decisions and influence improved outcomes. CMA supports health care stakeholders with an array of analytics that facilitate system transformation, clinical improvement, and population health. Aligned with the rigorous metrics of industry accepted stewards including AHRQ, NCQA, CAHPS, CMS, JCAHO, State governments, and 3M, our Analytic and Business Intelligence services are enabling the enrichment of data (i.e., Clinical and Episodic Grouping), a wide range of alerts, standard reports, and dashboards, as well as decision support and data mining capabilities. CMA works with leading vendors, including 3M, HCI3/Altarum, Lexis Nexis, SAS, Tableau, and IBM Watson Health. The volume, variety, and velocity of available health data continues to grow at an exponential pace, and leading organizations are turning to contemporary solutions to orchestrate the aggregation, transformation, publishing, provisioning, and analysis of data in a highly secure and scalable manner. CMA understands and appreciates the challenges and opportunities associated with managing health-related data, whether it be administrative, clinical, or social determinant in nature. We have established a proven set of capabilities and assets that are highly replicable, including our Mosaic DART, Mosaic NVMe and Mosaic Insights line of products. Our Mosaic products are a set of best-in-class modules which can be integrated to orchestrate and optimize the transport, unification, and publishing of disparate data sets in an enterprise platform and expose this data to authorized knowledge workers and data consumers via a secure, subscription-based portal. From their personalized portal environment, users can view and provision approved data to a virtual desktop interface on a self-service basis and leverage their choice of embedded tools to visualize, analyze and publish reports and dashboards. CMA is proud to work with many of the industry’s leading tools and distributors, including Tableau, Oracle, Hortonworks, Nextgate, and Informatica. Now, more than ever, organizations need to attend to very real risks associated with the security and confidentiality of their data. This is particularly true within the healthcare industry, which is increasingly vulnerable to loss or exposures due to ransomware, phishing, data-stealing malware and unauthorized access and disclosure of data by careless staff to name a few. Healthcare organizations must assess their management, operations, and systems to promote administrative, physical, and technical safeguards against risks, and comply with state and federal regulatory standards. CMA’s Risk Assessment offering integrates our leading experts and proven methods to audit and/or validate that client organizations have identified and remediated key risk factors or gaps that might otherwise lead to damaging exposures and costs. Our Security Awareness offering is a highly repeatable program that is tailored to address the nuances of each client we serve. Awareness Program development will incorporate an array of activities such as classroom instruction, learning modules, videos, collateral, and quizzes, as well as performance and compliance tracking, to foster, manage, and measure a culture of awareness and compliance within your workforce. Business applications and front-end portals that enhance stakeholder engagement and self-service, streamline workflows and improve end-user satisfaction, are becoming the norm across the health and human services sectors. CMA designs, develops and maintains contemporary applications which run on an array of environments, ranging from on-prem data centers to cloud and mobile-based platforms. Our agile approach to development enables the rapid, iterative deployment of secure and highly scalable applications which generate meaningful value. Our experience spans across the health and human services eco-system, folding a range of elements including clinical, behavioral, administrative, and social determinant factors together, to address individuals and populations more holistically. Shared IT platforms designed to support the modularity, scalability, and security-related requirements of clients - from data intake to end-use access, are frequent building blocks in the transformative roadmaps of health organizations. Whether you need a data center, data warehouse or data lake, hosted On-Prem, Off-Prem, or in the Cloud, CMA can manage simple to complex systems in a variety of environments including Linux, AS400, Oracle, and Microsoft Azure. We design, build and provide complete operational support for client IT Infrastructures, and offer specialized products such as CMA’s Mosaic Insights platform to address client needs. Additionally, our Tier III Data Centers support HITECH and HIPAA enabled operations and maintenance to clients in need of secure cloud infrastructure services, hosting, managed services, and SaaS. Shifting conditions in the health industry are altering the role of Project Management. Among other things, the move to Agile development is demanding that Project Managers be facilitators of continuous collaboration and innovation. CMA believes in forging true partnerships with our clients. The success of our engagements depends on combining the knowledge and expertise of both organizations, to foster meaningful and sustainable business value. To ensure open and on-going communications occur at all levels throughout the project, CMA employs a set of proven Program and Project Management methodologies that are highly repeatable. In doing so, we provide a level of flexibility, customer focus, and results orientation required by truly innovative clients. The results earned after using CMA’s platform were astounding. NYS ranked #1 in the nation for fraud detection and recovery. The Ohio Department of Medicaid selected CMA to develop a functional and technical roadmap for the implementation of advanced pharmacy analytics. Verisk Health, a subsidiary of Verisk Analytics, provides enterprise analytics and reporting systems to health insurers, provider organizations and self-insured employers. Successful IT projects require the orchestration of people, processes, and technologies. In the case of innovative projects within the heath sector, it’s important that project teams possess a balance of technical expertise and industry domain experience. CMA employs hundreds of professionals, a significant percentage of whom have deep experience working within the health care provider, payer, and regulatory sectors. We bind this talent together, through our proven and repeatable methods, to support the challenges and opportunities of progressive clients across many of the industry’s sectors. Jeff Wendth oversees the development of CMA's strategic offerings that address the needs of clientele in the rapidly evolving, healthcare marketplace. Mr. Wendth possesses a unique blend of operational experience across the healthcare ecosystem, coupled with an appreciation for the vital role that IT and leading practices can play in driving sustainable transformations within the industry. CMA has been an Oracle partner for more than 25 years, developing solutions for our clients which, in some cases, have utilized nearly the entire Oracle product stack. Most recently, CMA has also leveraged Oracle’s engineered systems to support certain client situations. CMA has also conducted multiple large-scale ERP projects implementing Oracle’s PeopleSoft solution. 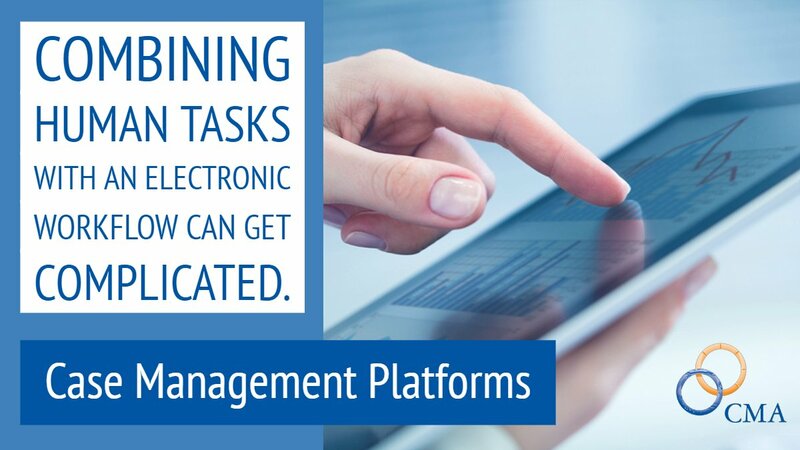 CMA has utilized Microsoft products extensively across our suite of products: Health and Nutrition Delivery System (HANDS); Human Resource Information System (HRIS); Leave and Accrual Tracking System (LATS); and Learning Management System (LMS). We also use .NET technology regularly in our custom applications. CMA has maintained a solid partnership with Dell/EMC since 1996, incorporating their industry-leading storage solutions into many of our System Integration client engagements which require CMA to provide a total solution. Tableau helps people see and understand their data. Tableau is making big contributions to the following areas: fusing computer graphics and databases, the principles of visual understanding, and the cycle of visual awareness. With Tableau, you can create and share data insights across your company in minutes. Offering a revolutionary new approach to business intelligence, Tableau allows you to quickly connect, visualize, and share data with a seamless experience from the PC to the iPad. Create and publish dashboards and share them with colleagues, partners, or customers.